Born into a legendary Canadian family of athletes, Pete Conacher could have simply rested on the laurels of his famous father and uncles. Instead, he chose to create his own story, in his own way. Charlie Conacher, Pete’s, dad, and his uncles Roy and Lionel, have their stories written up in other Halls of Fame. This is Pete’s saga as he is inducted into the Bobby Orr Hall of Fame. Raised in the Toronto suburb of Leaside, the young Pete Conacher found ample time and opportunity to develop his natural athletic skills on the nearby playgrounds and rinks of Bessborough Public School and Millwood Park. 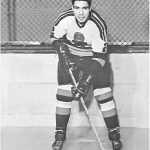 Pick up games honed his individual talents while the Toronto Hockey League introduced Pete to the forum that would extend the Conacher name to yet another generation of hockey fans. Pete’s hockey skills quickly drew the attention of the coaches forming the local THL entry. Playing on and contributing largely to two city champion teams between 1947- 49 didn’t hurt his growing reputation. So it was no surprise that when he reached his 16th Birthday, Pete became the property of the Chicago Blackhawk organization. As related in the Brian McFalone book “Over the Glass and into the Crowd: Life After Hockey”, Pete said “Never ever did I say I expected to play in the NHL. All through my time in minor and junior hockey, all we ever wanted was just to play. Period!” Obviously the most sustaining ingredient in Pete’s career, was not the allure of fame and fortune, it was the simple fact he loved the game. However, paired with Ken Wharram on the Junior A Galt Black Hawks, he formed a potent combination that quickly gained attention throughout the league. In 1951at the ripe old age of 20, Pete moved up to the big show in Chicago. He had made his mark and reputation as a young gentleman with a quiet, intense, competitive spirit, traits he carries with him right up to the present day. He also brought his father’s famed #9 on his jersey, a number he wore at various times over both his amateur and pro career. Whether it was on the ice or on the baseball diamonds of the Beaches in Toronto, Pete used his many talents effectively. His grooming for the pros subsequently led to 13 years with NHL stops in Chicago, New York, and Toronto and AHL stints with Buffalo, St Louis and Hershey. 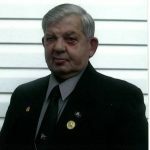 His professional career was interrupted only once in 1959 when he joined the Belleville McFarland’s and helped Canada win the World Championships in Prague. His pro career ended in 1966. At the age of 34 he realized his career as a hockey player had to make way for a shift in applying his talents. In the 1950s and 60s, like all hockey players, he was obliged to supplement his income with a summer job. Pete knew enough as a young adult that hockey was not going to last forever. Initially as a part time summer job, and later on as a full time occupation, he took on a role as a trader on the Toronto Stock Exchange. In 1995 after 41 years he retired from the floor of the TSX as a trader for the firm of Wood Gundy. Besides sports, Pete has had two additional passions in his life; the one a place in Georgian Bay, his summer home on Sherry Island; the other, a woman he married in 1966, Ann Randle. Pete had been familiar with the Bay since he was a teenager. So with his professional hockey career at an end in 1966 and his new profession established in Toronto, Pete brought his new bride to the cabin he had built on the island 14 miles from Parry Sound. On week-ends and holidays for the subsequent 45 years, Pete and Ann have continued to build a home and a strong network of neighbours near Sans Souci. Together they have employed backstage leadership skills to forge a vibrant community spirit with their broadly based volunteer efforts. Pete’s contribution to fund raising and community development probably stem from his long standing involvement with the NHL Old Timers. For over 40 years Pete and the old pros have gathered to play their favourite game to assist worthy causes. Out of this precedent, Pete has continued to assist raising funds for a host of charities centered both here in the Parry Sound area and in his other home town of Etobicoke, just outside of Toronto. The West Parry Sound Area Hospital Foundation, the Georgian Bay Land Trust, the annual Bobby Orr Golf Tournament, the Island Odyssey Book Project, the Toronto Star Santa Claus Fund, and the Charlie Conacher Throat Cancer Research Fund have been just a few of the many worthy causes benefiting from Pete’s tireless energy and support. Though it is difficult to list all the organizations Pete has given his attention to, one stands out. In 1992, The Ontario Special Olympics Hall of Fame decided to honour the major contributors to the development of its program and organization. Pete was its first inductee. 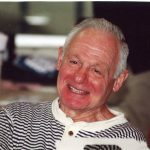 The Etobicoke Sports Hall of Fame also awarded membership to Pete in 2002. Perhaps his most prestigious award came in 2002 when Senator Frank Mahovlich awarded Pete the Queen’s Golden Jubilee Medal in recognition of his athletic and community services throughout Canada. But taking center stage is not really Pete’s style. More often than not he can still be found at the Sans Souci docks, an incomparable wharfinger, welcoming everyone in the same warm, engaging fashion. Or he is under the docks, directing their repairs or replacements. Or he is behind the docks playing tennis or setting up the next property management project. 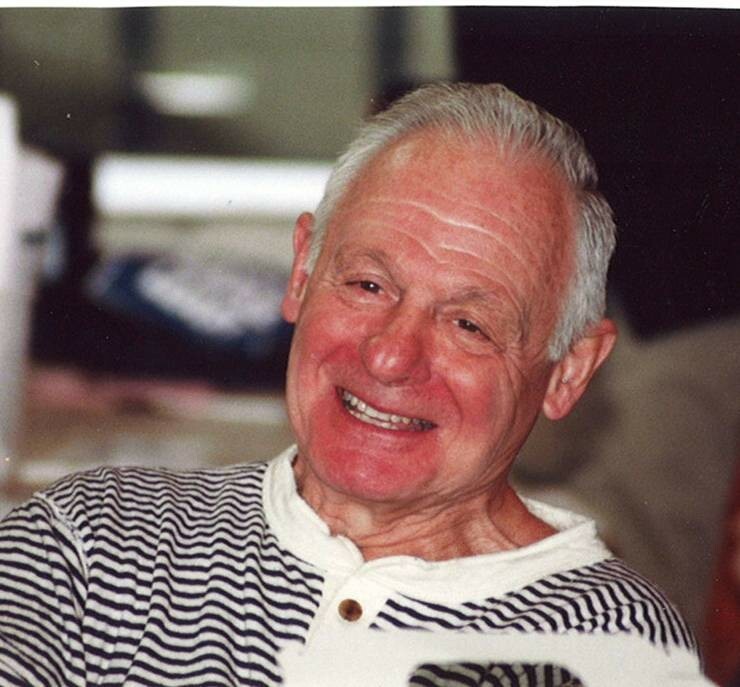 For many years Pete served as a director for the Sans Souci and Copperhead Association, his presence ensuring members were actively working at improving the community and not just talking about it. As the ice departs and the cottagers arrive in the islands, the Conacher Work Parties have become legendary on Frying Pan Island. Pete always was and still is a “doer”. Inevitably Ann is beside him, equally committed to enhancing the quality of life for everyone in the area, both in town and on the islands. 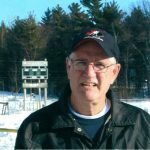 It seems both timely and fitting that about 40 years after Bobby Orr received the Charlie Conacher Humanitarian Award for community service , Pete Conacher should be inducted into the Bobby Orr Hall of Fame for his service work to the Parry Sound district. Both his athletic accomplishments and his many community contributions are special. We who know him are fortunate and proud to have Pete and his lovely wife Ann in our company. Congratulations Pete! This honour is well deserved.